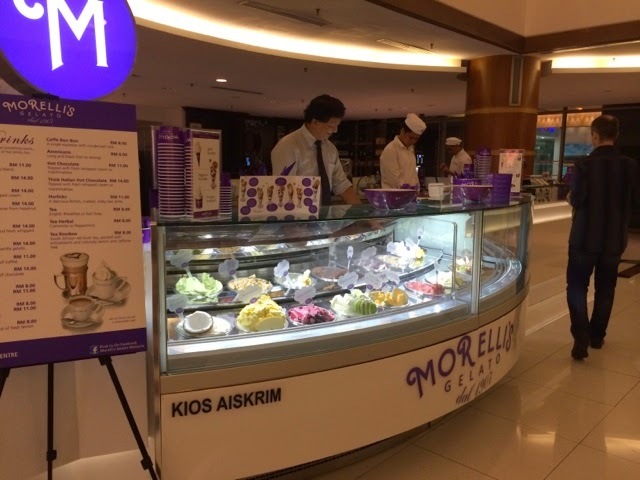 Expatriate in KL: Morelli's Gelato at Bangsar ... Heavenly! 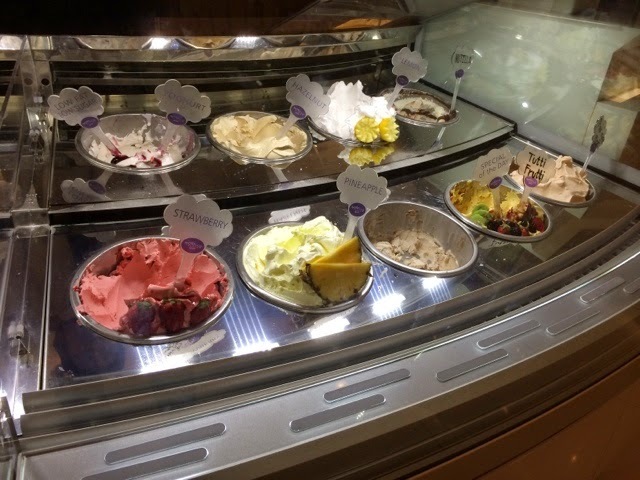 Morelli's Gelato at Bangsar ... Heavenly! It was one of those rare date nights with hubby. 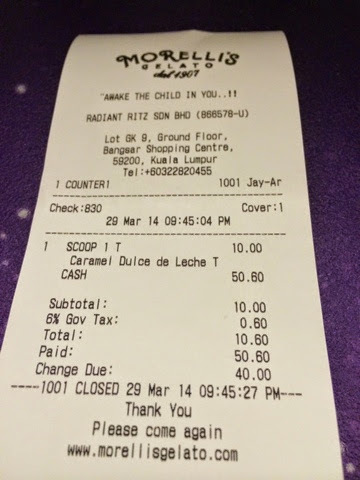 We decided to go for something safe, so we chose La Bodega, a restaurant that has been around for the longest time. We didn't feel like eating big portions so La Bodega tapas was a good choice. Dinner experience wasn't that smooth -- a small hiccup with their service... however we didn't want to ruin our "rare" evening. After a nice dinner chatting as normal boy-girl-having-dinner (sans les petits), we were headed back to the car and passed in front of Morelli's Gelato. They were giving out free taste, and kind of 'called us' to try... so we did. Boy, that was a good decision! We decided to have a little treat that night. 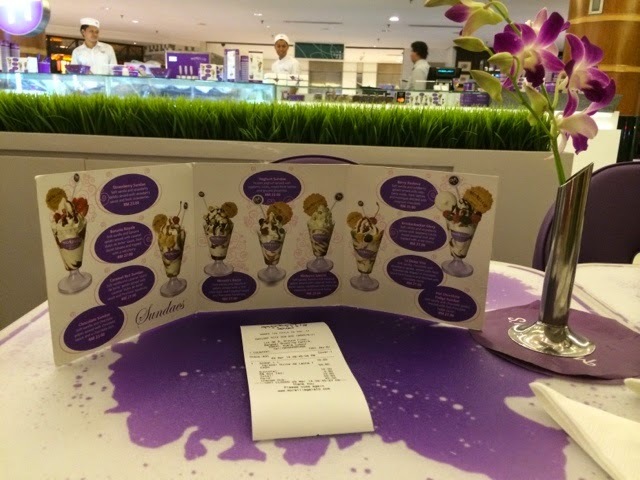 I felt like a little girl having her ice cream treat moment. I did visit again after a few weeks... this time with my daughter, my helper and my son in tow. We enjoyed our Morelli's one scoop cups. 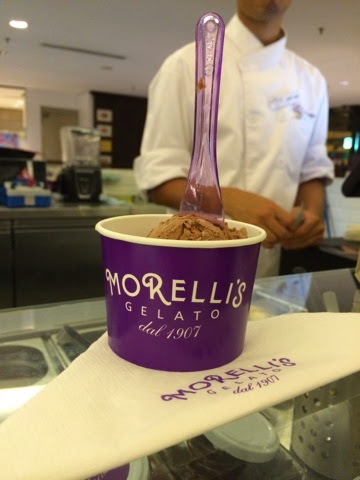 I will keep our Morelli's sessions as special moments -- where we indulge, and I get to relive my happy childhood memories. My chocolate ice cream scoop! Ante at Publika: the place for ribs!